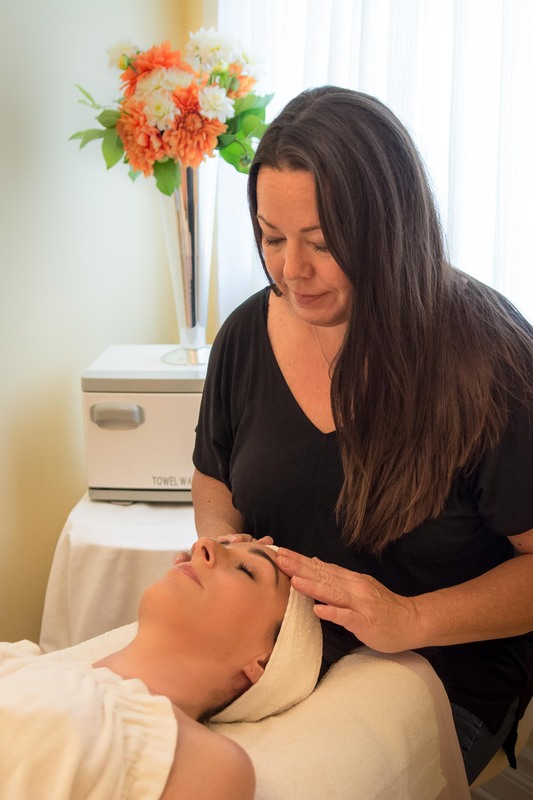 Jennifer Clark’s facial and skin treatments are specifically tailored to each individual’s needs. Below is a list of treatments that we select from to fit the needs of each client. Often by combining treatments we create a custom treatment for the skin. Receiving a facial for the relaxing and rejuvenating effects is a great way to take care of the skin. However, the best way to see visible lasting results is by consistently taking care of the skin. Check appointment availability and book online! This facial cleanses, purifies, and nourishes your skin. Includes a deep cleansing; exfoliating customized for your skin type, and may include AHA peel, or a gentle papaya enzyme peel; extractions; a calming mask; hydrating moisturizer and UV protection. Your facial also includes a therapeutic, aromatherapy neck and shoulder massage to leave you feeling relaxed and refreshed. This therapeutic, deep-cleansing facial addresses the most common skin issues for men, such as ingrown hairs and razor irritation. It includes a gentle steam, exfoliation, extractions, a calming mask, moisturizing, followed by UV protection. This facial also includes an aromatherapy neck and shoulder massage. This facial starts with either a glycolic, lactic or salicylic acid peel according to your skin type. Alpha Hydroxy Acids are used to rapidly exfoliate, revealing a soft, suppleness to the skin. This facial is also finished with a massage and a vitamin enriched mask. This facial is for people with either adult or adolescent acne. The facial starts with a gentle enzyme peel that will prepare the skin for extractions. The facial is finished with a cooling mask as well as a consultation for the best home care regime. This facial is best for those who need added hydration to their skin as well as toning. This treatment starts with exfoliation with either an enzyme peel or an AHA peel. The skin will now be ready to receive a facial massage with a hydrating ampoule to stimulate your natural oil. The facial is finished with a toning mask. This is a quick treatment for those in a hurry or those who need rapid exfoliation on a regular basis. This fruit acid peel will leave your skin feeling soft and hydrated. It is recommended in a series of 6.